This customer had ongoing problems with product adhesion and buildup on the surfaces of transfer lines and equipment. The product buildup had slowed product transfer rates and lowered the system efficiency. Conveyor screws quickly developed product buildup, and began to place a large load on the drive motors. 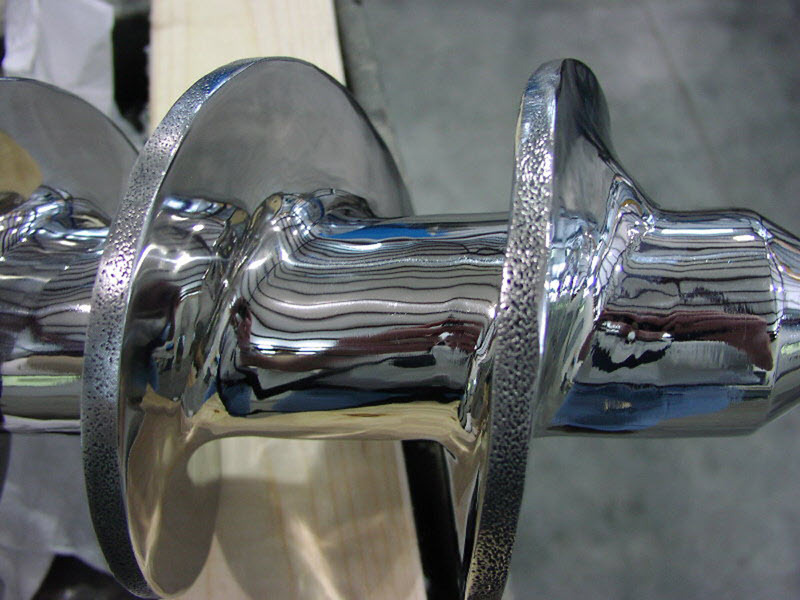 Product line was regularly shutdown to clean product buildup from screw faces. 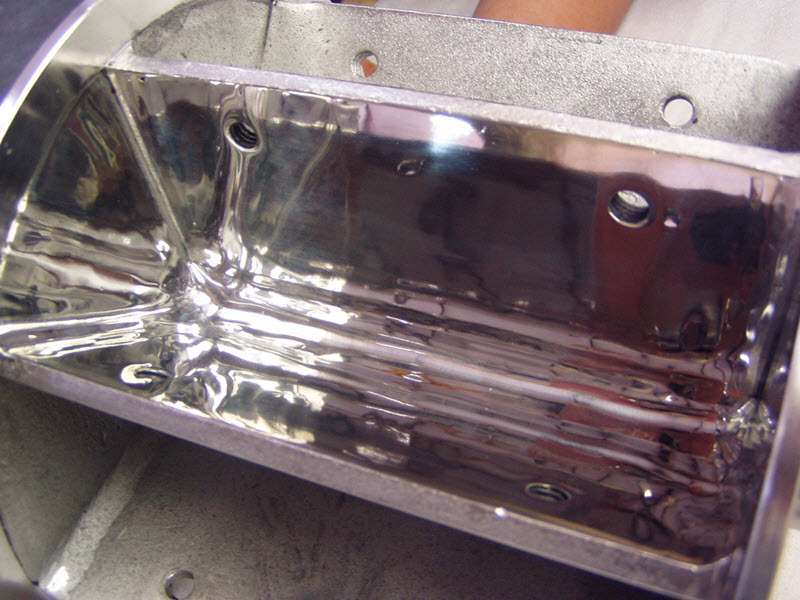 Surfaces exhibited heavy pitting due to corrosive environment. 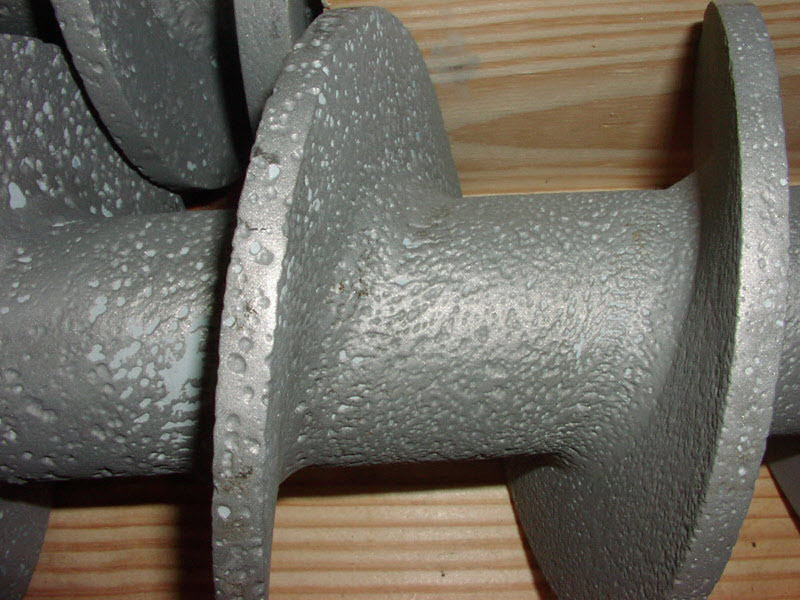 This customer had ongoing problems with product adhesion and buildup on the surfaces of transfer lines and equipment. 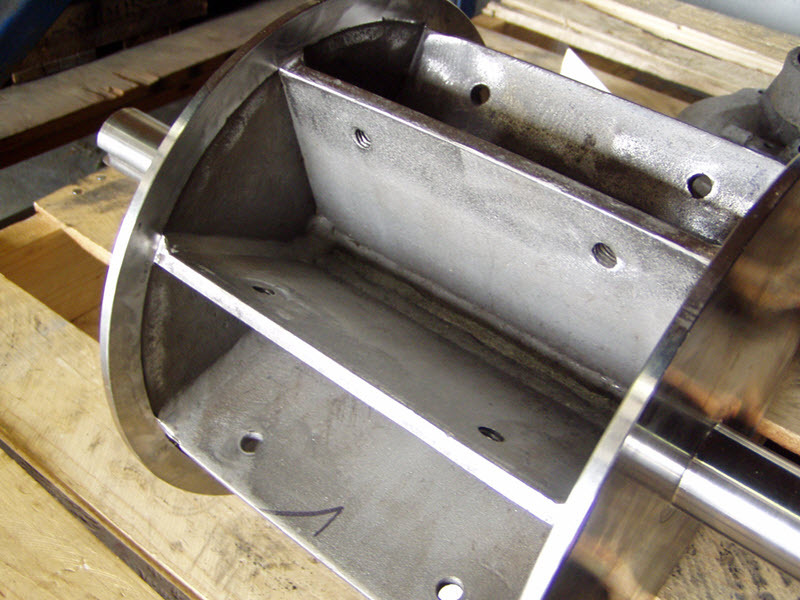 Rotary valves quickly became caked with product, not allowing a full “dump” of the product. The product buildup had slowed product transfer rates and lowered the system efficiency. The product production line was regularly shutdown to clean and remove caked material from the rotor veins.